The White Heart is situated on Edinburgh's Grassmarket and said to be the oldest pub in Edinburgh. Not only the oldest, but the most haunted, there have been many sightings from tourists as well as staff who certainly have a few creepy stories to share! 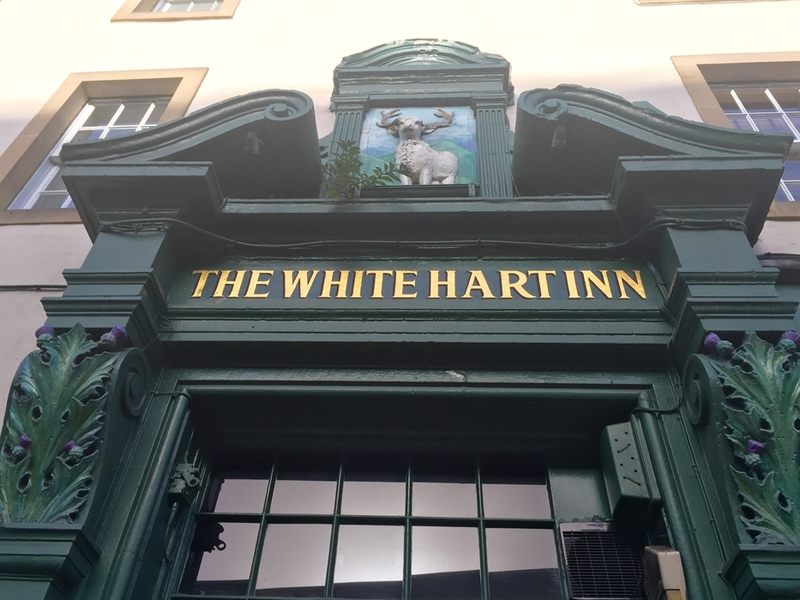 The White Heart Inn is Edinburgh's oldest and most haunted pub, located in the heart of the vibrant and busy Grassmarket which makes the pub a hot spot for tourists after a ghostly sighting. 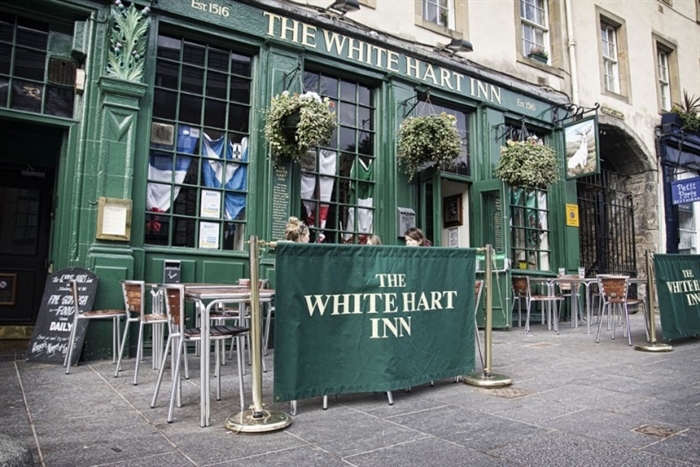 Established in 1516, the building has always had the name "The White Hart" and is said to be the home to many spirits...and not just the kind behind the bar. With many photographs online as well as stories from the staff themselves, tourists can certainly guarantee a few spooky stories while enjoying a dram or two from the vast collection of Scottish Malt Whiskies they have on offer. The famous building is said to have been the place in which a certain Scottish poet stayed on his last visit to Scotland and where his famous song 'Ae Fond Kiss' was written in 1791. Robert Burn's, as well as William Wordsworth, visited the building on many occasions which is only one of many reasons this pub is so popular. The famous grave robbers and murderers, Buke and Hare, have also drank here and it is believed that they even picked up one of their victims in this very pub. With so much history behind the building, it's no wonder it's such a busy and thriving little pub. 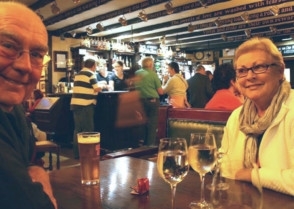 Being described as having the "old fashioned feel", The White Hart Inn is a hit for locals as well as tourists who enjoy the traditional and cosy atmosphere of the pub. With over 70 Scottish Malt Whiskies displayed behind the bar, several Scottish ales on tap, a selection of Edinburgh's own craft Gins and a traditional Scottish menu, the pub keeps that traditional Scottish feel. From the award winning Chieftain Haggis, Neeps & Tatties to our homemade Steak and Ale Pie, it's all about Scottish traditions at The White Hart Inn. As well as whole lot of history, a handful of spirits as company and food & drink for all tastes, there is also live acoustic music sessions 7 nights a week.